How often does one get starstruck by a poet? When I read Gretchen Primack's animal poems, I was starstruck instantly. How could someone crystallize my own feelings about animals and humanity so beautifully, so powerfully, and so poignantly? 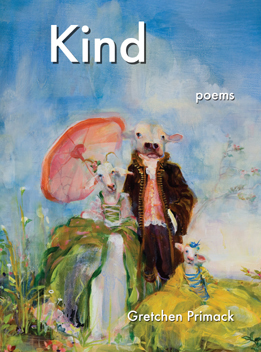 Primack seems only capable of writing poetry so damn good that you will find yourself wanting to read it aloud to everyone you know who shares your compassion for animals...and to everyone you know who doesn't. Gretchen Primack knows that animals 'cannot forget hell for even a day, and so [she] cannot either.' She is infused with an abnormal amount of empathy, which fills her heart with kindness, awe, and hope. She wants to live 'somewhere else, somewhere kind,' so she spends her time shifting into that place where every being matters, and she takes us with her.